Even though the order Coraciiformes is cosmopolitan, it is only the kingfishers that occur widely across every ice-free continent. Many other families have very restricted ranges. The only other families that occur in the New World are the few species of motmots, confined to the tropics of Central and South America, and of todies, confined to the few islands of the Greater Antilles in the West Indies. Most families and species occur in the Old World. Even though bee-eaters, rollers, hoopoes, and hornbills range widely across Africa, Eurasia, and even into Australasia, all of the woodhoopoes and the majority of bee-eaters and rollers occur in Africa. Hornbills are divided mainly between Africa and Asia with only a single species extending to Australasia. 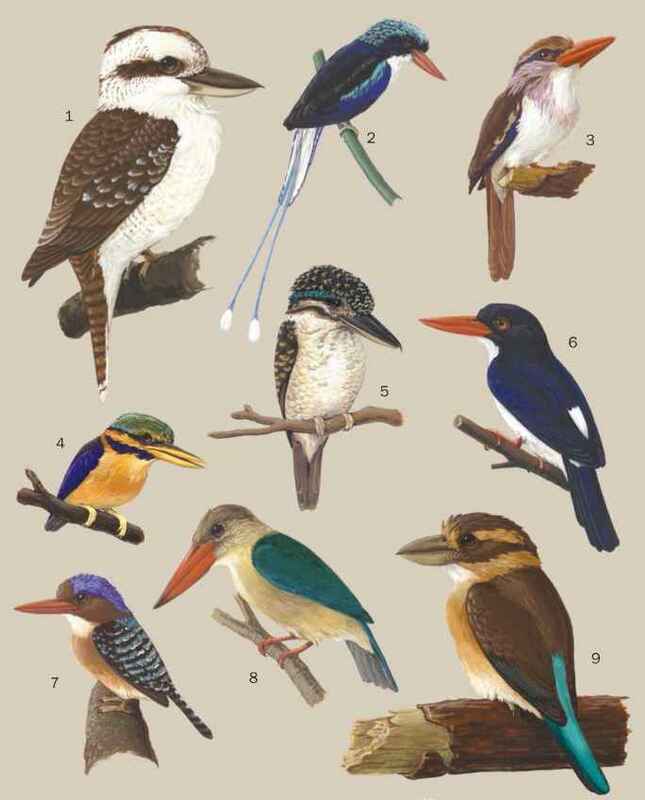 The kingfishers, despite their comopolitan distribution, have only six of their 91 species in the Americas. To the north of this mainly tropical distribution, only one species of kingfisher, bee-eater, and roller and the hoopoe breed in Europe. To the south, only one species of bee-eater and roller breeds in Australia; however, these species are joined there by at least ten species of kingfishers in what is the major and Australasian center for the diversity of that family. ution, no examples of kingfishers are yet recorded from this original radiation. 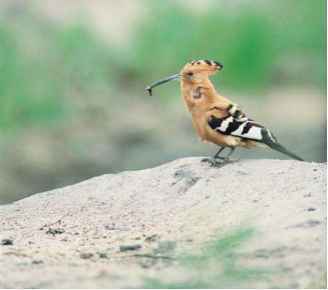 More recently, from 25 to 40 million years ago, the remains of kingfisher-like birds are known from Wyoming, Germany, and France; of roller-like birds from France, Germany, and Wyoming; of hoopoe-like birds from France; and of tody-like birds from Wyoming and France. Even more recently, fossil kingfishers are also known from Australia. The Northern Hemisphere origin of motmots, and probably of todies, is supported even further by a 20-million-year-old motmot-like fossil from Florida. This species must have existed well before North and South America were finally connected (as recently as 2.5 million years ago), and is consistent with motmots and todies being the only avian families with their main diversity in Central America. The Coraciiformes provide an ideal example to caution us against making assumptions about the history of the range and diversity of any group of birds based only on the present distribution and design of its members.